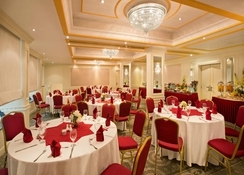 The Admiral Plaza is a 3-star hotel located in Bur Dubai, close to the commercial, business and shopping areas. 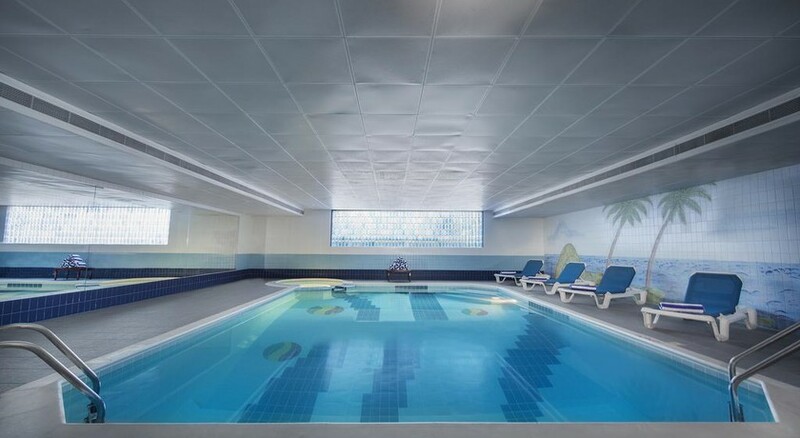 The hotel's indoor swimming pool is a great space to relax during the day, while the in-house fitness centre is kitted out with the latest equipment for guests who like to stay active – and make use of the jacuzzi and sauna. 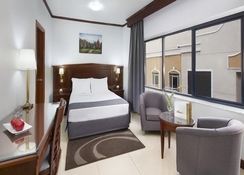 Admiral Plaza Hotel Dubai boasts a variety of room types to suit all guests, from single rooms to family suites, each featuring modern amenities. The hotel has two restaurants serving a variety of local and International cuisine, or if you prefer to eat in the comfort of your hotel room, 24-hour room service is available. Discover what Dubai has to offer outside of the resort, with local attractions including the famous Gold and Spice Souk, Deira City Centre, Dubai Museum, Creek Park and more. In addition, the Dubai International Airport is 10km from the hotel, and the nearest metro station is located only 500m away. 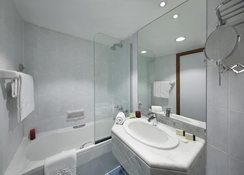 This hotel located in Bur Dubai is just 15 minutes from Dubai International Airport, 5km from Dubai World Trade Centre, 8km from Deira City Centre and the Dubai Mall. Guests can opt to travel in the Dubai Metro Red Line, which runs right through Bur Dubai and connects with the airport. Renovated in 2004 – the hotel offers 142 guest rooms divided into Single Room, Twin Room, Double Room, Triple Room and Family Quad Room. Amenities include an en-suite bathroom, hairdryer, satellite/cable TV, tea & coffee making facilities, mini fridge as well as a hire safe. Centrally regulated air conditioning features as standard. Some rooms feature a separate living room and kitchenette. Admiral Plaza Hotel Dubai has two main dining options, Ocean Café and Admiral Lounge, featuring Indian and Chinese cuisines along with other International specialities. If guests prefer, they can also dine in the comfort of their hotel room thanks to the 24-hour room service available. The hotel features an indoor swimming pool where guests can take a relaxing dip. 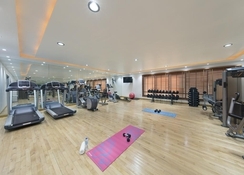 They can also stay on track with their fitness regime by sweating it out at the swanky fitness centre, before relaxing in the spa – with a sauna and jacuzzi.